Is there a truly effective way to manage your DMAIC projects, ensure your Black Belts follow your process and all necessary project documentation is completed for each step of the process? i-nexus' Head of Partner Development, Christian Loyer, has just the answer. Personal file drives? Shared drive? Or SharePoint site? 12 years in the amazing field of continuous improvement. So many joyful moments, yet so many frustrating ones as well. 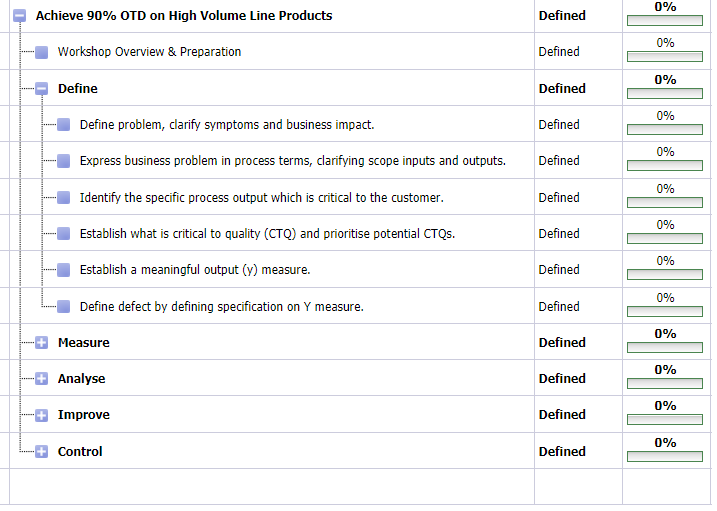 Pretty much up there in terms of the most frustrating moments is the control of the DMAIC methodology and the management of all project files in an efficient and robust manner. How can I make sure my Black Belts follow the DMAIC methodology I was designing? 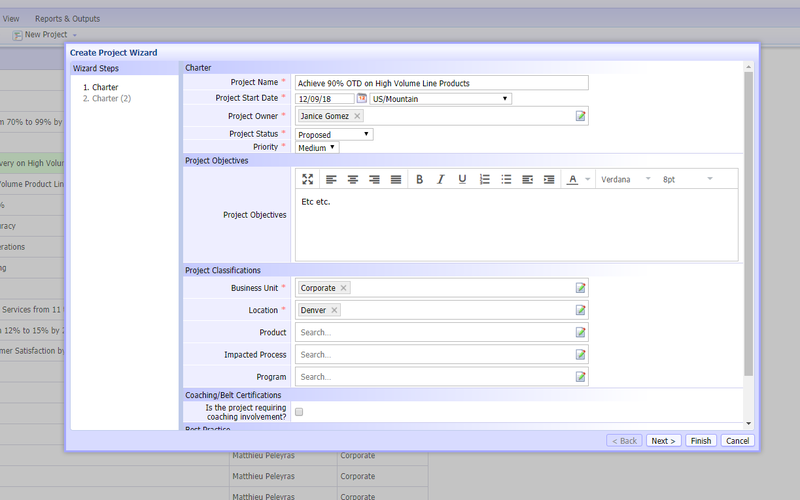 How can I make sure they have project charter in the Define phase? A root cause analysis in Analyse….You get the drift. But not only the ‘control’ of a DMAIC project was my concern, as equally important a topic for execution and archive purposes was the question of “Where do we save the Black Belts project files?” Personal Black Belt drives? Common drive? SharePoint site? 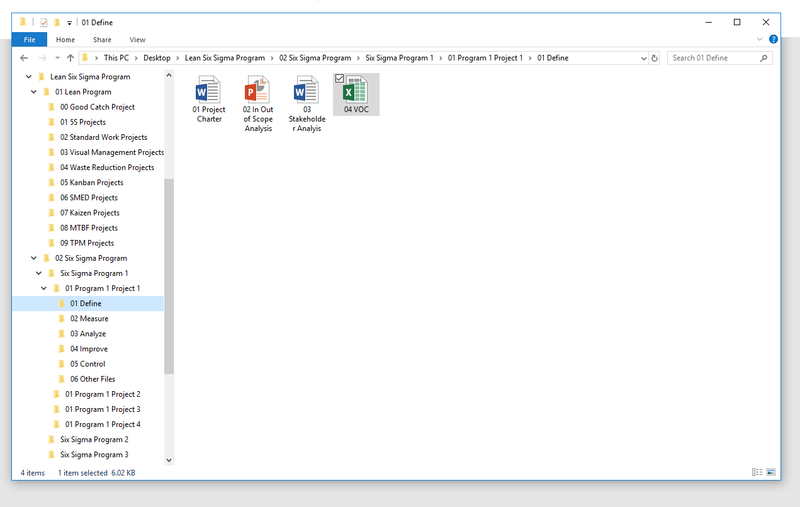 In the Six Sigma folder, I would typically have 2 or 3 programs that would be in place to achieve a strategic objective. Those programs would have a series of projects. Typically, on top of coaching the Black Belts, my Master Black Belts would be in charge of a program, in PMO language they would be my Program Managers. The Black Belts would be leading the projects, in that sense they would be Project Managers. A few of the Black Belt projects would be ‘Just-do-it’ projects, however the majority of projects assigned to Black Belts would be DMAIC projects. 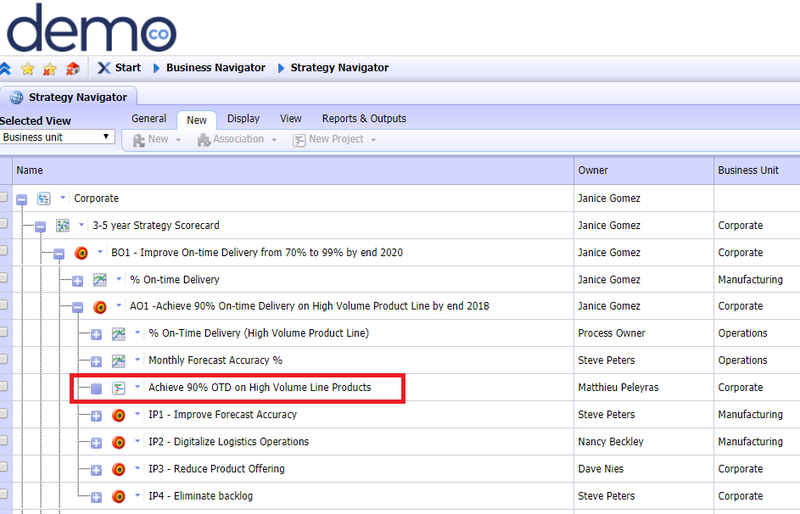 A classic example of a Six Sigma program we led in a Supply Chain organisation was ‘Improve Customer Satisfaction’. Many projects were assigned to this task, one example is ‘Improve On-Time Delivery for the UK market’. The same approach would obviously be adopted for all the other steps of the DMAIC methodology. The Measure folder would have the SIPOC template, the Fishbone template, the Leading and Lagging Indicator file, the gauge R&R, etc. As SharePoint grew in usage, I eventually used it but apart from improving sharing between sites/countries/regions, the problems above remained. So, is there a better way to execute your projects, ensuring your Lean Agents and Black Belt used a set methodology that is the same from project to project? Is there better way of managing and storing LSS project files? In short, the answer is yes. As you can see, 6 steps are included in the define phase for this organization. The Black Belt can add to those steps but those steps would be the mandatory ones for the Define phase at that organization. The other phases would also have their mandatory steps. Every single template comes ‘attached’ to the methodology so every time a Black Belt selects ‘Six Sigma DMAIC’ as a project, all the templates you want your Black Belt will be attached to the relevant step where the template must be used. Moreover the completion of the templates can be done directly in i-nexus: you can open the file directly in the software, modify it, save it and upload it in the ‘Document Completed’ column. The templates being attached to the steps of the methodology this will increase the likelihood that Black Belts will use this tool to save their files rather than keeping them on their hard drive. Finally, the management if files could not be easier: in the document template column you attach all the files you want your Black Belts to use. Once they have saved their file and uploaded it in the column template, it means the file has been updated. 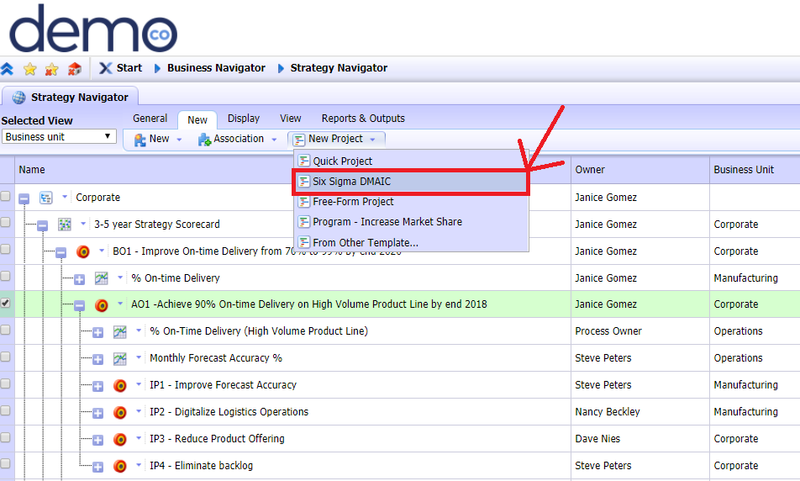 Here is a video demonstration of the DMAIC project management functionality of i-nexus strategy execution software. Thank you very much for reading this article and I wish you the best of success in the execution of DMAIC projects. How to build a world-class strategy execution system: Your guide to what it takes to replicate the amazing results achieved by some of the world's most consistently successful organisations. The top 10 trends to watch out for with strategy execution in 2019: We're amid a shift in mindset when it comes to strategy execution - this is what to look out for. 7 can’t miss requirements when choosing a strategy execution platform: Selecting the right strategy execution platform is an important choice - these are the 7 requirements you need to keep in mind. Christian is i-nexus' Head of Partner Development. With a rich-background in the industry, today he uses his 20 years experience to make things more digital for our clients. He helps them to get away from the heavy lifting of executing strategy, managing projects and following-up on KPIs with spreadsheets, PowerPoints and SharePoint sites. With i-nexus he supports corporations in better executing their strategy, whether they use Hoshin-Kanri, OGSM, OKR or any other methodology. If you'd like to talk more about your strategic challenges, reach out to Christian on christian.loyer@i-nexus.com or connect with Christian on LinkedIn for more strategic insights.